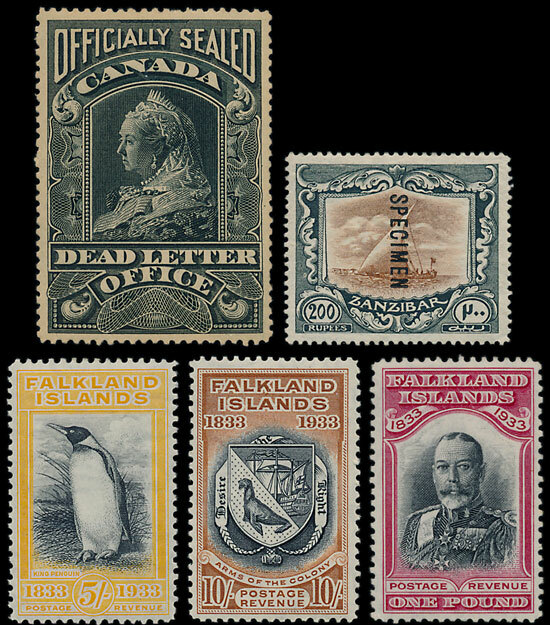 If you read any book on stamp collecting it will emphasise the importance of investing in top quality stamps, luckily a vendor in our November Stamp auction took that advice on board. The British Commonwealth stamps consigned by the vendor were estimated in the catalogue at £35,000, but due to their high quality and rarity they achieved a total of over £58,000 at auction. The Commonwealth section of the auction was probably the best that we have offered in recent years resulting in huge interest, a full auction room and bidders from around the world making phone bids. Many of the lots sold well above the estimate: amongst the KUT on offer a 1904-7 50r estimated at £600 sold for £1950, a 1922-7 £4, offered at £1,000, sold for £2700, and a 1922-7 Specimen £75 in the catalogue at £700 sold for £2,480. Similarly, in other countries, a Zanzibar 1913 Specimen 20r to 200r range sold for £740 and a Falk Is Centenary set sold for £2,240. A rarely seen Canadian Qn Victoria Dead Letter stamp was bought for £224. In the foreign section some very fine China collections were sold at prices that show there is still fire in the Dragon's belly. An early ‘remarkable accumulation’ estimated at £7,500 eventually sold for £19,470. A collection Municipal Posts sold for £2,480 and People’s Republic collection achieved £23,600. 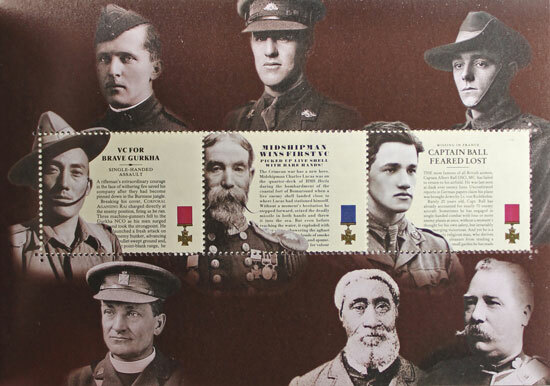 Towards the end of the auction a modern rarity a 2006 Victoria Cross prestige booklet pane missing colour sold for £4,720. Considering the catalogue value is £18,000 and very few are known, this could prove to be an astute purchase.